January 2016 - Bernardo Cortese M.D. This is the presentation I had at the CCIF meeting at Guiyang, China, April 2015. 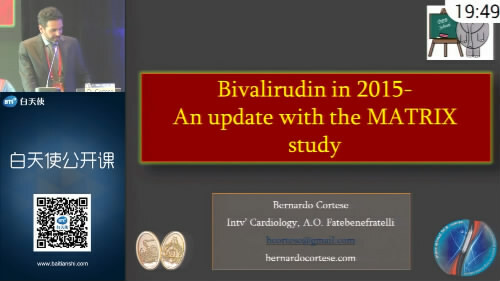 Which is the current role of Bivalirudin in ACS patients, nowadays? Did the Matrix trial change the scenario, or created more confusion on the matter?